An effective language teaching is vitally important in students’ socio-cultural, psychological and mental development because language is the main factor in communication. If the fact that learning is also a kind of communication progress is taken into consideration, students’ ability to use the language determines students’ ability to interact in their society and their school success. One side of communicating through the language is understanding what you watch, listen to and read. The other side is expressing your feelings, opinions, plans and impressions verbally or in a written form. That visual and audio materials have played an active role by becoming widespread has increased the importance of understanding and explaining in the present day. Somebody who has received Turkish education should be able to comprehend feelings, opinions, plans and impressions told verbally or given in a written form without skipping any points. The student should not only comprehend the point that the speaker or the writer is trying to make, he/she should also reflect on the meaning and use it in the real life when necessary. At the end of Turkish education, feelings, opinions, plans and impressions should be able to be told verbally or in a written form for a specific purpose because the social life in this era requires expressing ourselves as well as understanding others. People think via the language. The main goal of language teaching which is quite important all over the world is improving students’ ability to “think” as well as their communication skills. For this reason, it must not be forgotten that thinking Turkish is only possible when Turkish is known proficiently. Will be able to understand what they watch and see, listen to and read correctly and precisely. Will improve their ability to express what they understand and think verbally or in a written form accurately and fluently. Will be aware of the rules of Turkish language thinking accurately in Turkish Language, pay attention to using outcomes efficiently and accurately. Will enrich their vocabulary knowledge by making reading a habit and and a pleasure. Will understand the importance of the language in reasoning and communication and will transfer this outcome to their whole life. Will use the methods of searching, analyzing, comparing and criticizing while preparing their projects. Will improve group skills either individually or in groups. Will use the techniques learned in the classroom when preparing speech and will improve their speaking skills in front of a crowd efficiently and confidently. Will recognize the samples from Turkish and World literature and art and thus within this context will gain the awareness related to universal values. Enabling students to gain the habit of using the language accurately and efficiently by adopting the rules of Turkish language. Enabling them to create awareness of using the language via avoiding ambiguity as individuals to respect Turkish language and the usage of the language. Enabling them to develop the pleasure of literature through gaining the habit of reading. Developing skills of thinking accurately and communication through their whole life and every stage of their education. Enabling them to understand the power of the language by developing their vocabulary knowledge. Enabling them to gain the understanding of working by adopting Turkish cultural heritage and Ataturk’s principles and reforms universally. Enabling them to gain the skills of selecting literary works appropriate for their level, comparing literary works and making literary criticism. Enabling them to make a connection between literature and daily life in literary works. Supporting students to become trusting (themselves and the others) and respecting individuals with the guidance of literary works. Contributing to bringing up knowledgeable students as individuals to follow the diary of the world and the country. Maintaining the studies related to the national and international exams. 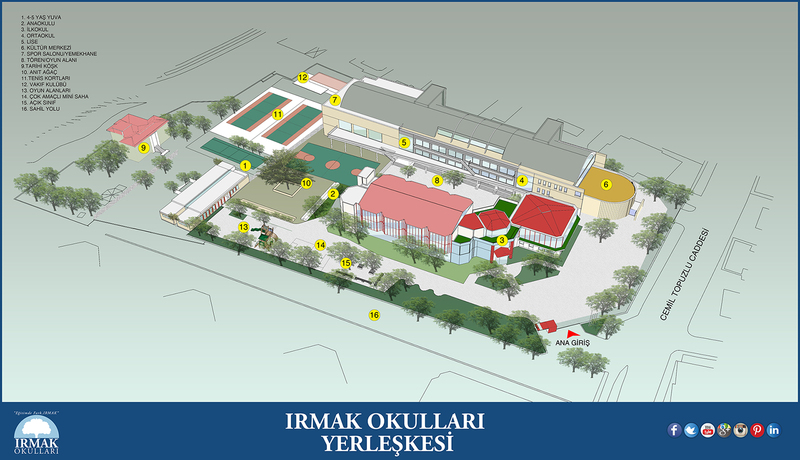 As being Irmak Schools Turkish Department, we aim to enable students to gain all the skills and the behaviors for preparing them to the step of learning at a higher level within the curriculum programs determined by MEB. This page was created on 8.2.2017 12:01:40 and has been visited 1189 times.